But Beckett harbors a secret that will test the limits of their new love. Can their romance survive summer’s challenges? And will achieving her brother’s dream give Madison the peace she desperately seeks? Buy the book HERE. Denise Hunter is the nationally published bestselling author of The Convenient Groom and The Trouble with Cowboys. She has won The Holt Medallion Award, The Reader's Choice Award, The Foreword Book of the Year Award, and is a RITA finalist. When Denise isn't writing she's busy raising three heroes-in-the making with her husband. 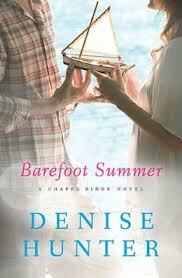 You can learn more about Denise through her Website www.DeniseHunterBooks.com or by visiting her FaceBook page HERE.